The Denker Sanlam Collective Investments (SCI) Balanced Fund is appropriate for investors saving for the long term who wish to have their savings invested in many independent ideas that aim to deliver superior risk-adjusted returns at lower levels of volatility. To achieve this, we deliberately give investors exposure to a broad range of outcomes (breadth of ideas) to avoid a situation where returns are dependent on, or overly influenced by, any unpredictable outcome. An active manager’s ability to deliver outperformance is a function of skill and breadth. Breadth refers to the number of independent, uncorrelated views in a portfolio. An example of a portfolio with breadth is one that has an appropriate number of independent bets or views. One with no breadth is one where most positions are likely to be influenced (in a similar way) by one specific factor or outcome. Breadth gives you more consistent outcomes from diversified exposure to independent ideas. Portfolio manager A, as shown in Figure 1 below, looks at predicted weather patterns and invests in the stock that is most likely to benefit from a particular weather outcome. For instance, if the market expects average rainfall, but the portfolio manager believes there will be unusually wet weather, portfolio manager A will buy the soup company. Based on this, portfolio manager A will only earn better returns if they accurately predict the future and there is higher-than-expected rainfall. Instead of building an investment case on an unpredictable weather forecast, portfolio manager B prepares for different weather outcomes. Investors in this manager’s portfolio should benefit from acceptable returns regardless of the weather. Investors would earn a 10% return on their investment, thanks to diversified exposure to both the soup and the ice cream company. The investment performance is for illustrative purposes only. A portfolio with more breadth also provides less volatile returns. Another benefit of a portfolio that maintains breadth is lower volatility (lower variation in returns over time), which is also shown in Figure 1. 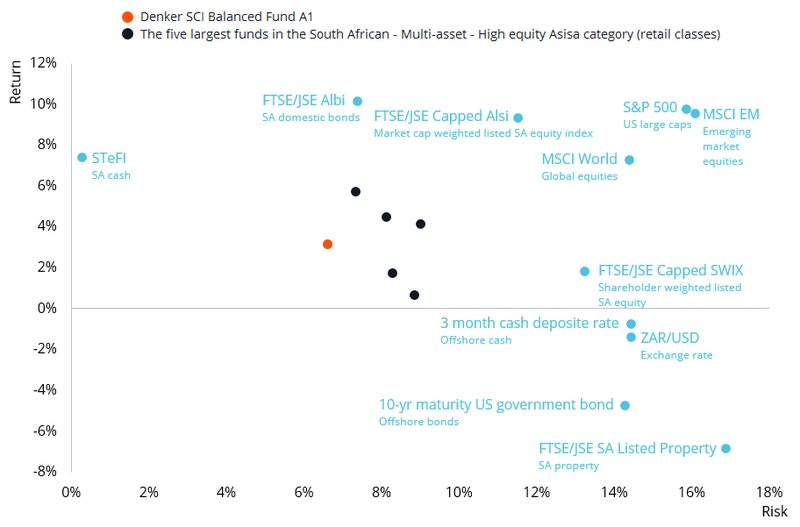 This is exactly what the Denker SCI Balanced Fund aims to achieve – long-term returns that are in line with or better than the benchmark, at lower levels of volatility. Figure 2 shows how the fund has performed relative to other funds in the same category and to the main asset classes available to portfolio managers. Risk and returns are calculated for the one-year period from 1 June 2017 to 31 May 2018. All returns are in rand and net of retail fees. The five largest funds were selected based on funds in the category with the highest fund sizes on 12 June 2018. The A1 class of the Denker SCI Balanced Fund is the highest fee class available to retail investors, with an annual management fee of 0.75% (excl. VAT). The fund was launched on 2 May 2017. The Denker SCI Balanced Fund deliberately maintains breadth to offset risks and provide peace of mind. The Denker investment process starts with understanding company fundamentals. We focus on a company’s ability to earn attractive returns and then acquire the company when it is attractively priced. Because it’s impossible to predict the future, we try to avoid building a portfolio whose returns depend on unpredictable outcomes. We also deliberately set out to maintain independent and uncorrelated ideas in the portfolio and make use of the full range of available assets to offset potential risks. When we own South African companies that are dependent on the South African economy, we make sure that the other assets in our portfolio will benefit if South African growth disappoints. When we own assets that are dependent on the global economy, we also include assets that will benefit from slower-than-expected global growth. This asset allocation helps mitigate the impact of unpredictable events. Another example is the recent and escalating global tariff uncertainty, which is bad for South Africa and the global economy. In this instance, our South African stocks are exposed to this, but our underweight equity allocation is offsetting some of the pain, as is our large offshore allocation to cash. When/if this tariff spat ends, the exact opposite is likely to happen. Our domestic equity stocks will do better, but we’ll be hurting on our offshore cash allocation (as the rand is likely to strengthen) and we’d have preferred an overweight equity allocation. 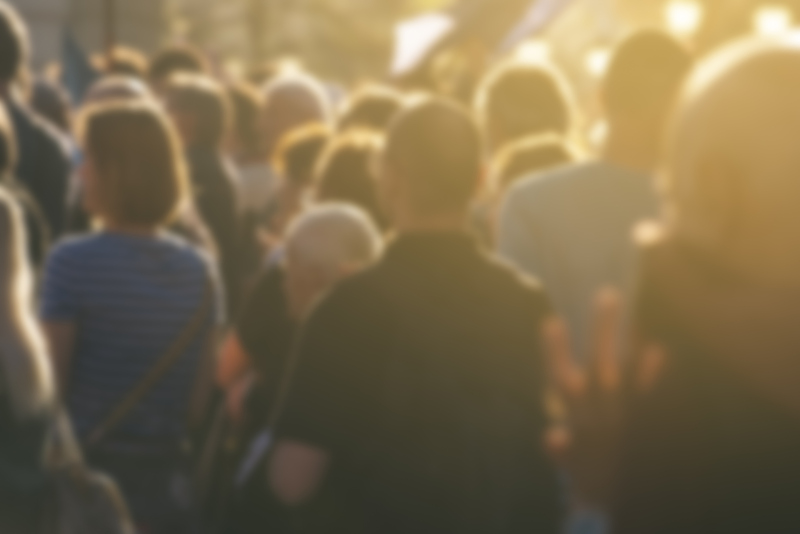 We want to give our investors peace of mind, knowing that their invested money is, as far as is possible, exposed to diverse ideas and not overly exposed to uncertain outcomes. Yes, this means offsetting some potential upside, but provides more consistent outcomes over time. For more information, click here for the latest fund fact sheet. ¹ Richard C. Grinold and Ronald N. Kahn, Active Portfolio Management, A Quantitative Approach for Providing Superior Returns and Controlling Risk (New York: McGraw-Hill, 1999). Sanlam Collective Investments (RF) (Pty) Ltd (SCI) is a registered and approved Manager in terms of the Collective Investment Schemes Control Act. The information to follow does not constitute financial advice as contemplated in terms of the Financial Advisory and Intermediary Services Act. Use or rely on this information at your own risk. Independent professional financial advice should always be sought before making an investment decision. The manager retains full legal responsibility for the third party named portfolio. The Sanlam Group is a full member of the Association for Savings and Investment SA. If the fund holds assets in foreign countries and could be exposed to the following risks regarding potential constraints on liquidity and the repatriation of funds, macroeconomic, political, foreign exchange, tax risks, settlement risks and potential limitations on the availability of market information. A schedule of fees and charges and maximum commissions is available from the Manager, Sanlam Collective Investments, a registered and approved Manager in Collective Investment Schemes in Securities. Standard Bank of South Africa Ltd is the appointed trustee of the Sanlam Collective Investments Scheme. Collective investment schemes are generally medium- to long-term investments. Please note that past performances are not necessarily an accurate determination of future performances, and that the value of investments / units / unit trusts may go down as well as up. Changes in exchange rates may have an adverse effect on the value, price or income of the product. Collective investments are traded at ruling prices and can engage in borrowing and scrip lending. Collective investments are calculated on a net asset value basis, which is the total market value of all assets in the portfolio including any income accruals and less any deductible expenses such as audit fees, brokerage and service fees. Actual investment performance of the portfolio and the investor will differ depending on the initial fees applicable, the actual investment date, and the date of reinvestment of income as well as dividend withholding tax. Forward pricing is used. Additional information of the proposed investment, including brochures, application forms and annual or quarterly reports, can be obtained from the Manager, free of charge. The Manager does not provide any guarantee either with respect to the capital or the return of a portfolio. The performance of the portfolio depends on the underlying assets and variable market factors. Performance is based on NAV to NAV calculations with income reinvestments done on the ex-div date. The Manager has the right to close any portfolios to new investors to manage them more efficiently in accordance with their mandates. Lump sum investment performances are quoted. The portfolio may invest in other unit trust portfolios which levy their own fees, and may result is a higher fee structure for our portfolio. All the portfolio options presented are approved collective investment schemes in terms of Collective Investment Schemes Control Act, No 45 of 2002 (CISCA). The portfolio management of all the portfolios is outsourced to financial services providers authorized in terms of the Financial Advisory and Intermediary Services Act, 2002.